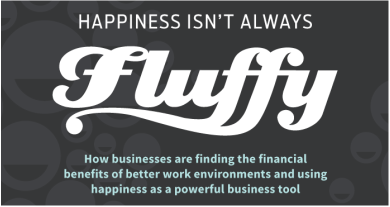 HOW MUCH IS UNHAPPINESS COSTING YOUR COMPANY? Absenteeism – though a valid health issue could impact attendance in a negative manner that has nothing to do with how happy or unhappy the employee feels with their workplace. Employees are not engaging in professional development opportunities that are offered by the company and that would increase their chances of an internal promotion. The Employee Referral Program, if it exists in the company, is not fueling the pipeline of new talent to interview. This could be signifying that employees don’t want their friends, family or colleagues to work in your environment. 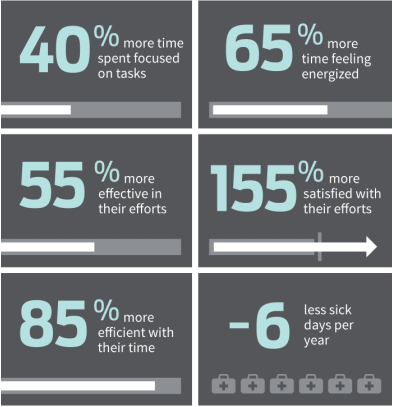 Decreased productivity and quality outcomes: Low customer satisfaction scores. 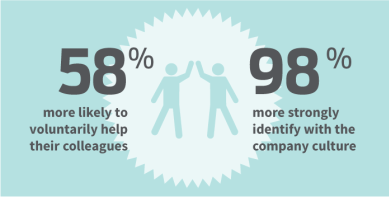 Employee satisfaction survey results score low on a few key areas: The value employees place on their direct supervisor/manager relationship, recognition for their work, and a clear line of sight to their internal career path that is supported by more than one internal champion. People don’t look like they are having fun – or simply look unhappy. Observing the body language as you walk around various teams and departments on a variety of days and multiple times throughout a month proves invaluable. Looks of frustration, anger, boredom and other indicators of dissatisfaction are telling. Many employees arriving to work looking like it took every last shred of their being to make it in and appear overall slow in getting into the day’s activities Increase in the number of employee relations matters. The cost to the bottom line for organizations is in the billions, but the cost to the human spirit is immeasurable. Whether you're an employee or an employer, it's not good news. It's time to change. You don’t care. About anything. This year I had the privilege of working with IDEO a few times. The first time I went to their offices, I brought them The Happiness Workout. They learned that laughter is an instinctual form of communication, and that we can laugh for no reason. This was their company's first introduction to empowerment through laughter. They invited me back to participate in a brainstorm, after completing a survey that revealed that what makes people the most unhappy is waking up on Monday mornings to commute to work. So the team I was on was tasked with coming up with ideas for a product that could maybe solve this problem. Laughter is at the core of the product they ultimately came up with. 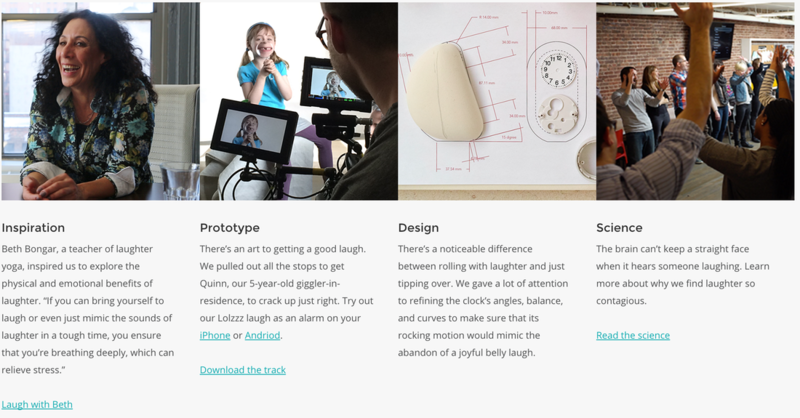 It's called Lolzzz, an alarm clock that wakes you with the sound of a child's laughter. As it giggles, it rocks back and forth. You can make it laugh even louder by tickling it. ​THE “HEALTH EPIDEMIC OF THE 21ST CENTURY. What do anxiety, panic attacks, depression, coronary heart disease, high blood pressure, fears, phobias, irritable bowel, fibromyalgia, ulcers, self-destructive habits like overeating, smoking, alcohol and other drug use all have in common? They are all either caused by or aggravated by STRESS! Too little time to get everything done: How many items are on your to-do list? Keep the list shorter. Not enough "me" time: Include yourself in that schedule of yours. Not enough sleep: No electronics after 10 pm. Learn to call it a day, earlier. Try it. Feeling lonely: Laughter is the closest distance between two people. Try it with a colleague at work. One foot in the past, one in the future: Not in the moment? Try 1 min. of meditation--moving or sitting.